Concrete roof tiles have an excellent price-quality ratio and they fit with both a traditional and modern architecture. 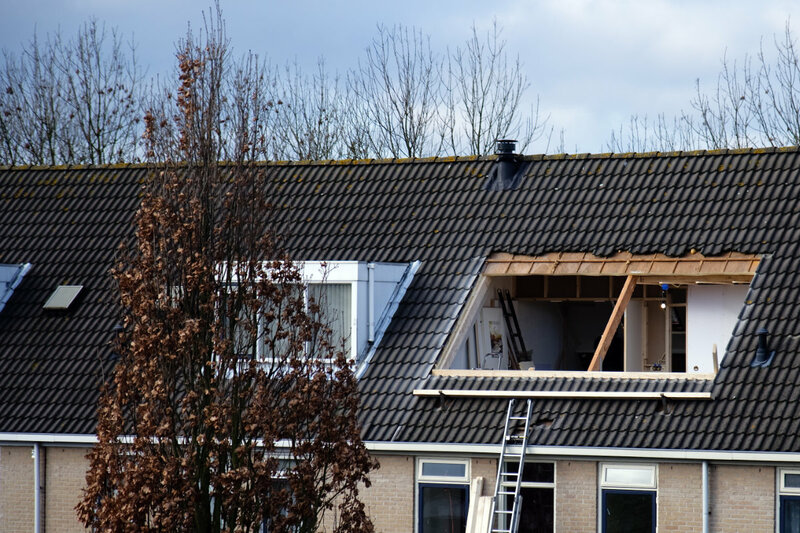 In this article, you can discover every advantage and disadvantage of concrete roof tiles, as well as the cost per square metre. Do you want to install concrete roof tiles? 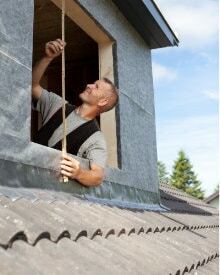 Receive free quotes from experienced roofers. Concrete roof tiles are quite big and broad roof tiles which you can easily recognise by the curve in the middle. As they have a very attractive price-quality ratio, these tiles are often used for new construction projects or renovation projects. On average, these roof tiles have the following size: 420mm x 330mm. The quick installation is their greatest advantage: this is beneficial for the total cost per square metre. In the factory, concrete roof tiles are provided with a double protective layer which protects them against UV-rays, damp, cold and atmospheric pollution. This protective layer mostly consists of transparent synthetic acrylate, although other protective layers are possible as well. The layer does not only offer protection, it also changes the look of the roof tile (glossy or dull appearance). – The concrete roof tiles are sensitive to moss formation. You can avoid this by applying an extra coating. On average, the installation of concrete tiles costs 25 to 40 pounds per square metre, VAT included. The total cost will be determined by the type of roof tile, the surface and the roof type. Installing small tiles requires more time and you need more of them per square metre. In general, the following applies: the bigger the tile, the lower the costs per square metre. The application of concrete roof tiles is a job which requires knowledge, experience and skills. 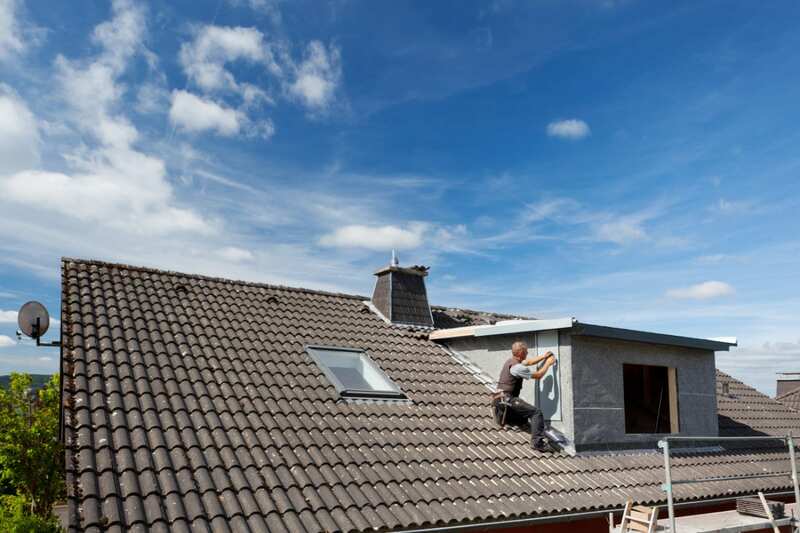 By calling upon a recognised roofer, you can be sure of a safe, quick and flawless installation. By means of our quote service, you can request non-binding quotes from different roofers for free. This allows you to easily compare prices. Click here to receive quotes. 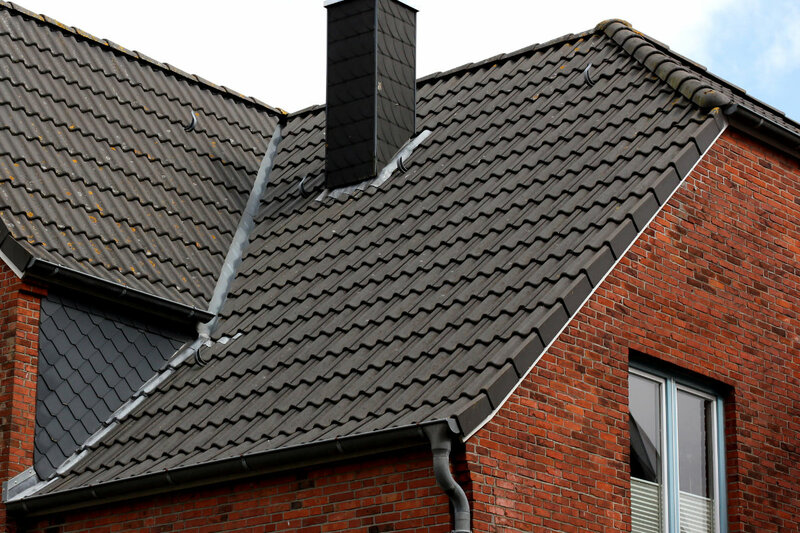 Roughly, concrete roof tiles are available in two basic shapes: flat and curved. Flat tiles are especially designed for buildings with a smooth and modern architecture. Curved concrete tiles, on the other hand, rather fit with traditional roof shapes. Both types are available in various colours and finishes (including red and brown shades, black, anthracite and grey). The lifespan of a concrete tile varies between 35 and 50 years and is related to the location of the roof and the moisture load. Roof tiles which are damp due to shadows, wear out faster than roof tiles that often bathe in the sun. The presence of trees (shadows and leaf litter) and the extent of maintenance are determining for the tile’s lifetime as well. For this reason, it is best to have the tiles cleaned periodically. Cleaning concrete roof tiles is something you should leave to a professional company. If you still want to do it yourself, do not use home remedies like vinegar or chlorine. These are harmful to the structure and/or the protective layer of the concrete. It is better to choose a biological cleaning agent which is especially suited to remove mosses or algae. In case of older roof tiles: do not use a high pressure cleaner, as this can damage the top layer of the concrete tiles. This especially applies when the pressure is too high or if you aim the spray lance too close. If you do not have enough experience on this matter, you would be well advised to have the roof cleaned by a specialist. Receive quotes from professional roof cleaners for free. Is your roof no longer as pretty as it used to be and do you want to give the tiles a new look? A perfect solution is to have your roof coated. First of all, a professional will clean the tiles thoroughly. Next, the tiles will be coated with a special paint. Afterwards, your roof will look like new again and it will be resistant to mosses and algae for at least ten years. Usually, producers offer thirty years of warranty on the intrinsic properties of a concrete roof tile. This means that, within this period, the roof tiles will remain waterproof under normal conditions. Moreover, they won’t absorb damp, they won’t burst and they will be protected against frost. Most producers also guarantee that the look of the tiles will be maintained for 15 years. A patina will appear over time, but this is inherent to every aging process. Clay roof tiles also acquire a patina layer due to weather conditions and atmospheric pollution. Are you looking for professional roofers? On our quote page, you can get in touch with different roofers in your region. You can gather information and receive customised price quotes. Click here to go to the quote page.